Wunderlist Calendar Feed works with Google Calendar, Outlook Calendar and iCal. 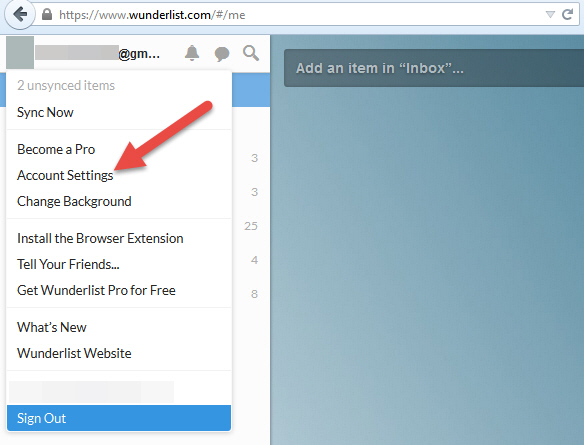 1.GO to the Wunderlist Web App on your computer. 2.Then click on your username and select Account settings. 3.scroll to the bottom and copy your unique Calendar Feed link. 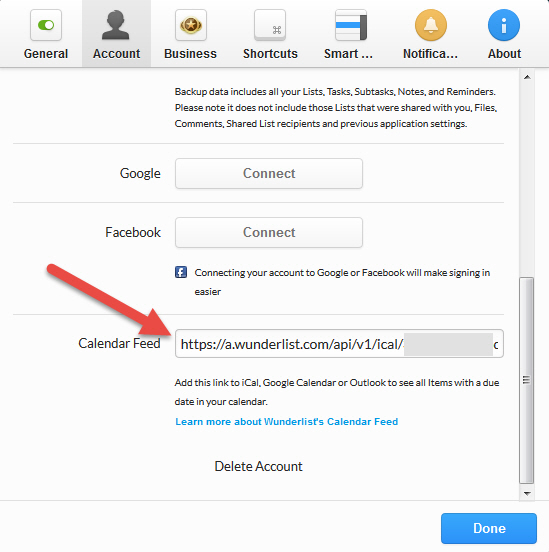 On Google Calendar, click Other Calendars and select Add by URL option. Paste the Feed link and click the Add Calendar. On iCal, click File > New Calendar Subscription. On Outlook 2013, click the Start ribbon > Open Calendar > From the Internet.